Organisations create information at an alarming rate and with the adoption of collaborative intranet features, this rate is likely to increase further. At the same time, employees often say that they can’t find the information they need. There is so much of it, but the right content is not at their fingertips. Storing documents in folders on a shared drive just no longer cuts it. SharePoint offers a range of features to improve document management and greatly increase the speed at which employees can uncover the information they need. We work with organisations who have - and continue to produce - a lot of content. 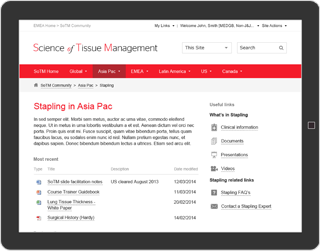 We use libraries, tagging, workflows and search to make sure your business is more efficient. In a highly regulated industry such as healthcare, we can deploy approval workflows, document versioning and digital signatures to help the organisation remain compliant.